We launched our entire chino line with this fabric and we're very pleased to see this American made twill return. 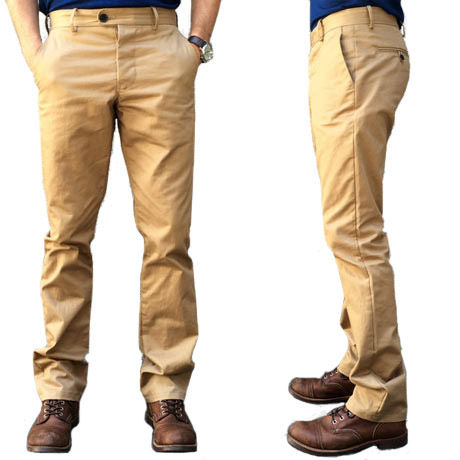 Gustin Chinos made from cotton twill woven right in the USA (North Carolina). This style uses a rich graphite shade. It's dark and has just a touch of blue in it making a bit more interesting than a standard pure grey. It shares the same 3x1 twill construction as the Light Khaki fabric. That means it has great texture from a well defined wale. You really feel the twill line when you touch it, which gives it a slightly tougher character. We pre-wash the fabric to soften it up and to reduce shrink. 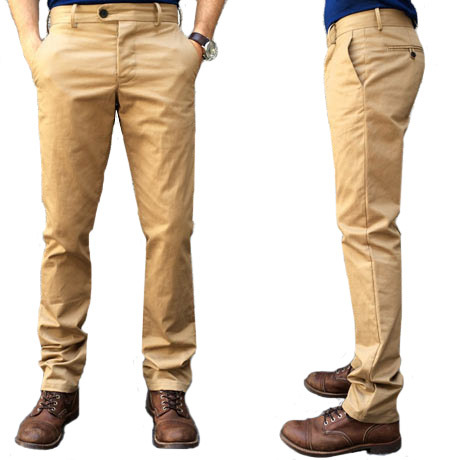 If you're looking for a Chino but aren't into a khaki shade, this is the perfect option.